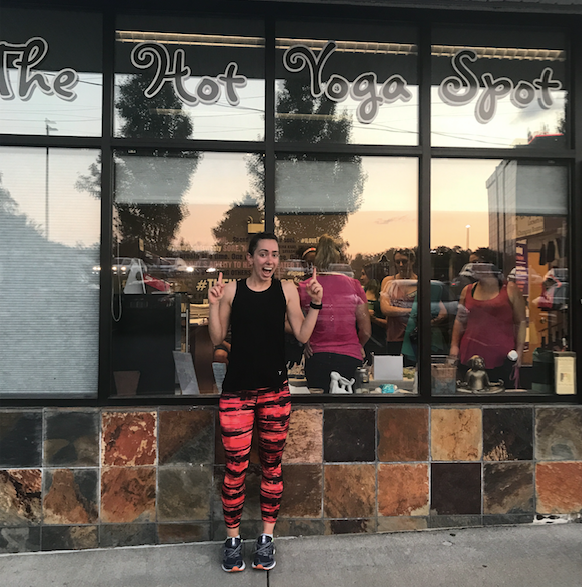 In the past few years I have branched out from my usual yoga classes to embrace other classes offered at The Hot Yoga Spot such as barre bootcamp and ignite. I love going to all the different studios around the capital region and the minute I walk through the doors, I am always greeted with a warm welcome and a smiling face. The class variety is just what I need physically, although exercise to me has become so much more than that. At The Hot Yoga Spot I have learned about the mental aspect of exercise that includes breath and meditation in my yoga classes, and determination and perseverance in my barre classes. My focus on exercise has shifted to doing what makes me feel strong and at my best. The time spent between the four corners of my yoga mat have provided me with so many life lessons, and it has truly been a great journey so far. I cannot wait to see what the future holds. I have learned that we should never miss an opportunity to tell people how much they mean to us, so thank you, Hot Yoga Spot community, for giving me a space to love and to grow, I am forever grateful! Kathryn joined The Hot Yoga Spot in 2014.